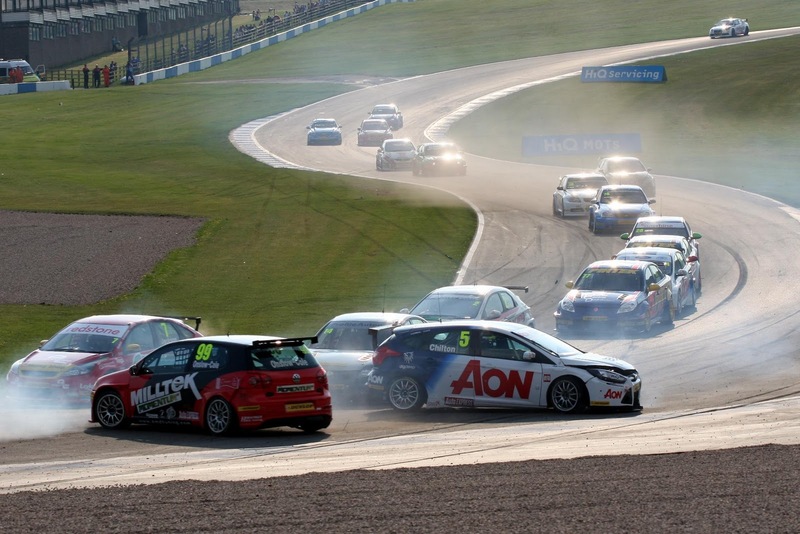 Chaos at Donington as the BTCC drivers discover that 20 cars entering Old Hairpin doesn't always work! Donington Park’s date on the 2012 Dunlop MSA British Touring Car Championship calendar has today been confirmed – meaning all ten BTCC fixtures for next year are now in place. The historic Leicestershire [We always thought it was in Derbyshire?!] venue will host the second event of the season when the BTCC, the UK’s premier motor racing championship, tours the country – in total it will visit nine top-class race circuits in eight different counties. Le Jog heads into Action!